After what happened to us I could have easily been an atheist, and for a few minutes I guess I probably was. I met Bill Allen over coffee. He said he was honored to meet me – honored to meet…me. 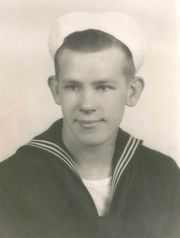 In June, 1944, Bill was a Navy medic aboard the USS LST-523 a Class Tank Landing Ship. Its mission was to bring supplies and transport D-Day casualties across the turbulent English Channel. “They’d bring us bodies and we’d clean them, wrap them in blankets and make sure they had their dog tags,” he said softly. On June 19, the ship struck a submerged German mine. A massive explosion lifted both sections of the ship’s hull high into the air, tossing dozens of sailors and soldiers helplessly into the sea. Many were killed instantly. Clinging to the ship’s bow with fifteen to twenty foot swells slamming into him, Bill, who couldn’t swim, had two choices: hold on and drown or jump in and drown. Just then, he spotted a man on a life raft. It was Jack Hamlin, his friend from the prayer group. Jack yelled to Bill to jump to safety. The pair managed to bring two other badly hurt men aboard their raft. One of them died before they reached safety. Sadly 117 men were killed that day. Only 28 survived—including all ten men in Bill’s prayer group. That night, as Bill recovered aboard another ship, he lay with his eyes wide open. 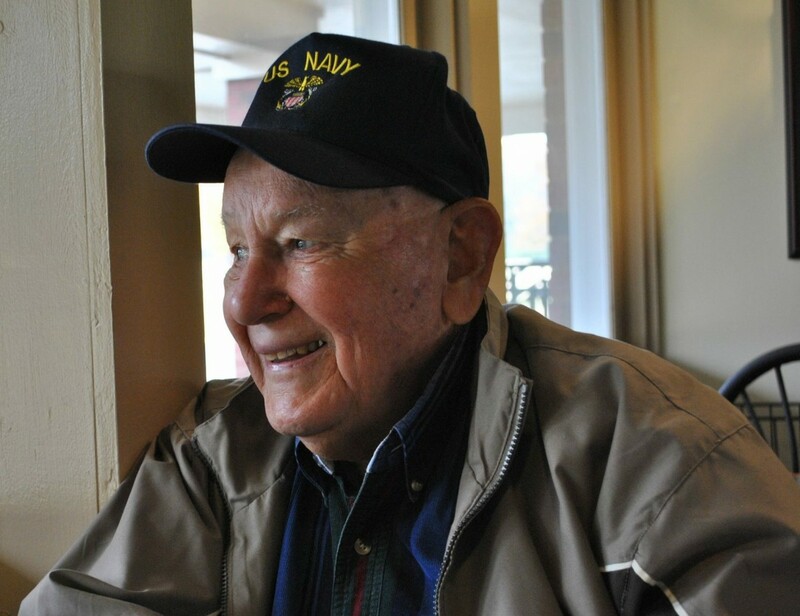 The man who saved his life tapped him on the shoulder and asked, “Bill, are you awake?” Bill looked at him and said, “Jack I don’t believe I’ll ever go back to sleep again.” He was struggling with this thought: In war, nothing is good, not even God. “But then, I thought: who sent that life raft? How did it appear out of nowhere? How come everyone in our prayer group lived?” Bill made a decision—God had plans for him here.